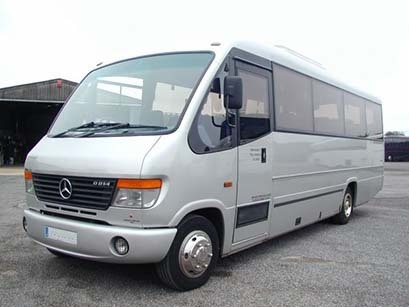 The Midi Coach is the perfect vehicle for you if the number of passengers travelling is between 17 and 33. You can choose between Standard or Executive specification according to your journey type and budget. Space and comfort for all passengers with luggage stowed away in the luggage compartment. 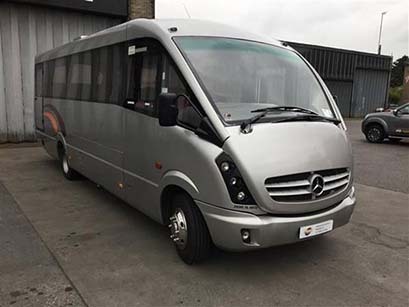 If you choose an Executive Midi Coach for your Journey then you can typically expect to have Air Conditioning, DVD player and P.A. system. 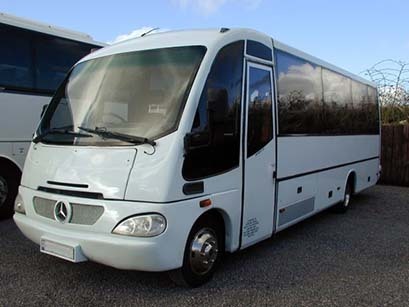 A Standard Midi Coach is ideal if you are going on a short journey and offers great value. Call us now on 0330 223 1040 for an instant quote or use our on-line quotation form. My experience with your company has been excellent, from the time I booked the coach to the attention to a small change in the original order to the end. I particularly like to mention that our driver Graham was excellent. In the way to Trevor Hall the driving was long and difficult due to a series of closures in the motorways. Mr. Graham was courteous and helpful in every way. Excellent service. Drivers arrived on time and helped us all with our bags. Would definitely recommend. Thank you for giving us a wonderful experience. From the time we confirmed booking you updated us of the next step and what to expect. It is a company that I will surely recommend to friends and families. We would definitely use SCH again, the driver was polite, well informed and got us to the various venues on time without rushing even though the scheduled was pretty tight. The company were easy to deal with prompt in their replies and patient with all the changes we had to make. 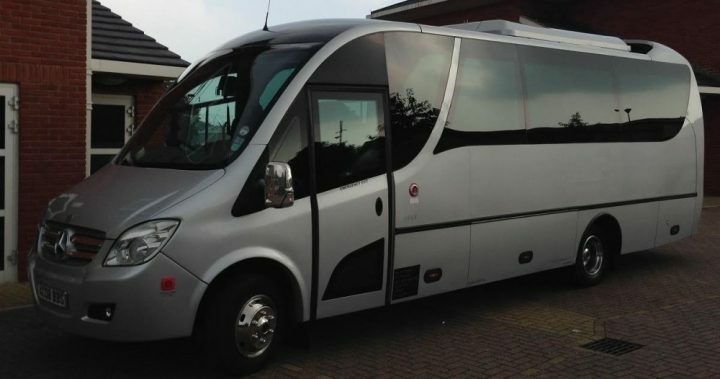 The coach was clean, tidy and well maintained, there was no advertising on the side (very important to us) and very comfortable – we look forward to, and very much hope to be using them again next year. Really good. Great service, great drivers, fair price. Excellent service! For our stage school. On time everything ran smoothly & friendly driver. Will definitely use again. Very pleasant journey to the venue. Arrived early, polite driver and very efficient service overall. Will use your service in the future. Thank you! Everything was smooth and easy, thank you. company, and would use them again. Very good service, will use again for next trip. It should be noted that Tony, our driver, was absolutely fantastic from the moment he picked us up to the moment he dropped us home. He is a true credit to your company and will be a big part of why I will recommend you to everyone I know in need of coach rental. The booking process was smooth and even had our coach upgraded to a beautiful executive 24 seater, thanks Garry! For such an important day out to us all, Select coach hire made the whole experience effortless and for that we are very grateful. 5 stars! The driver was courteous and professional. The coach was beyond my expectation. I would recommend you to others. Excellent service. Professional, courteous and flexible to my requested changes.